Sep 1, 2016 Are Language Barriers Holding Us Back? Nov 5, 2015 What Role do Librarians Play in Support of Technological Innovation? 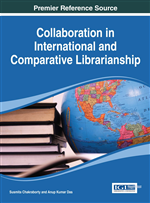 An internationally-recognized journal that showcases the best of library and information research and practice. IGI Global is proud to add a new journal in 2011 to its fine collection of database technologies journals. Global information retrieval and "anywhere, anytime" information access has stimulated a need to design and model the individualized information search in a flexible and agile way that can use the specific personalization techniques, algorithms, and available technology infrastructure to satisfy high-level functional requirements for personalization.